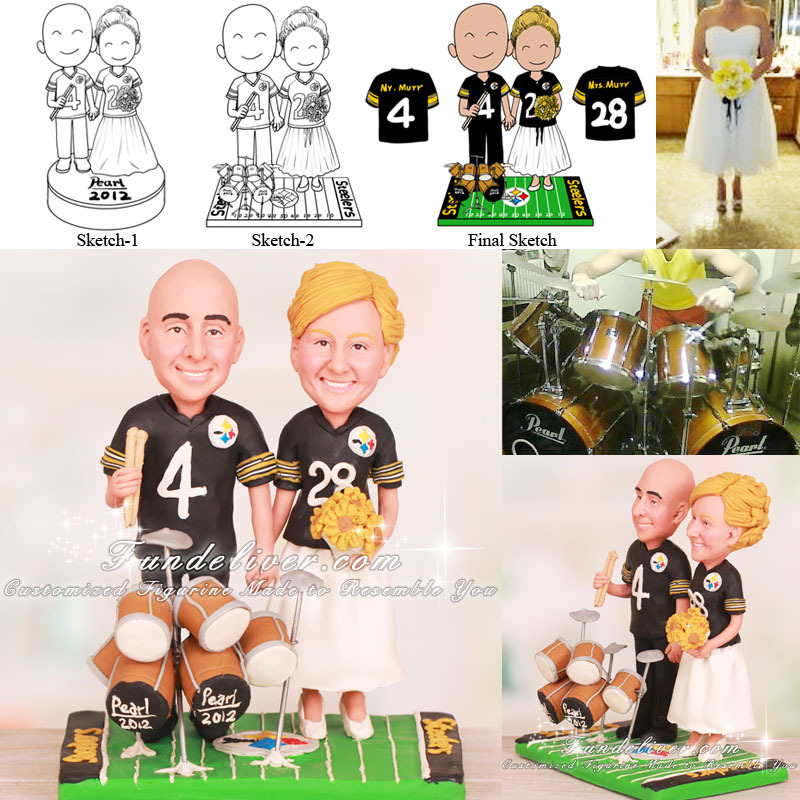 This is a completely customized drummer wedding cake topper ordered by one of our customers. 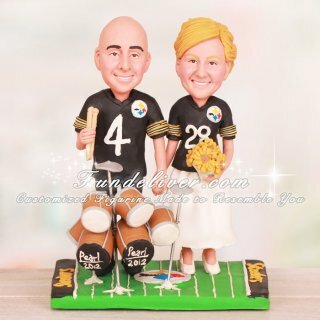 They would like the bride and groom figurine to be standing on Steelers football field and wearing Steelers jerseys, the number 4 and Mr. Murr on his jersey and the number 28 and Mrs. Murr on her jersey. The bride is holding a yellow bouquet and around their feet there is a bass drum with 2012 under the word pearl. The groom is holding a pair of drum sticks to reflect his career. Love this drummer cake topper?